English French Translator: How Can You Check The Quality Of The Translation? English French translator work can vary from translator to translator. The quality can be different, for example. But it is extremely difficult to check the quality when you don’t speak the language that the work has been translated into. Despite this, there are ways to check the completed work. The first thing to do once your language translator sends back the work is to check it visually. You can do this even if you can’t read the language. Simply compare the source file and the translated file and look at the length – are they roughly the same? It is true that some languages use many more or far fewer words than English to describe the same thing, a large disparity can raise alarm bells. Next check the formatting. Are the items that you had in bold the same? What about any numbered lists, and where are the images now? Are the captions still present? 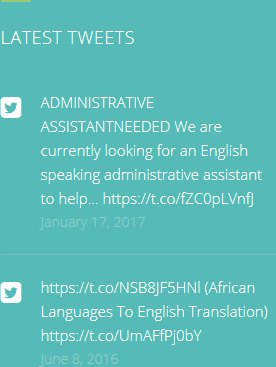 If not, it is important to contact the translator French English to double check that they have completed the work satisfactorily. You may even want to pass your translated document through an online translator such as Google Translate. Even though this is not the best way to translate a document in the first place, and hiring a professional is a much better idea, Google Translate will be able to give you a flavour of your document. It is a handy second check. There is even the option of using specialist translation checking software known as translation quality assurance software. These can be either free or paid for. 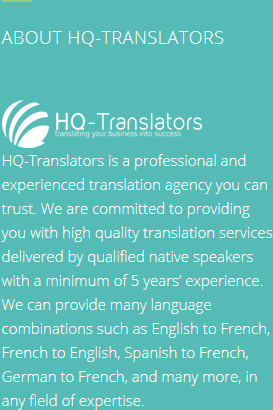 At HQ-Translators we promise high quality English French translator work across every industry. 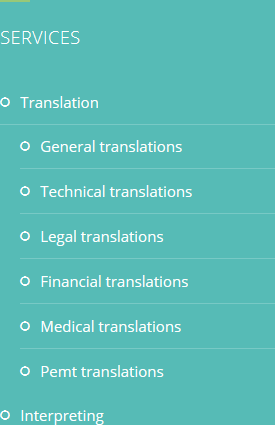 Our website has many details on it for you to check out (https://hq-translators.com). If you would like to speak to our team, please simply call (00 237) 242 71 38 38, or (00 237) 693 21 69 27 or email infos@hq-translators.com.